OFFICIAL HOTEL MANAGER. Mantra Circle on Cavill offers 1, 2 & 3 bedroom Surfers Paradise apartments boasting 24 hour reception, ocean & hinterland views, complementary parking, broadband internet, recreational and lap swimming pools, sauna & spa. 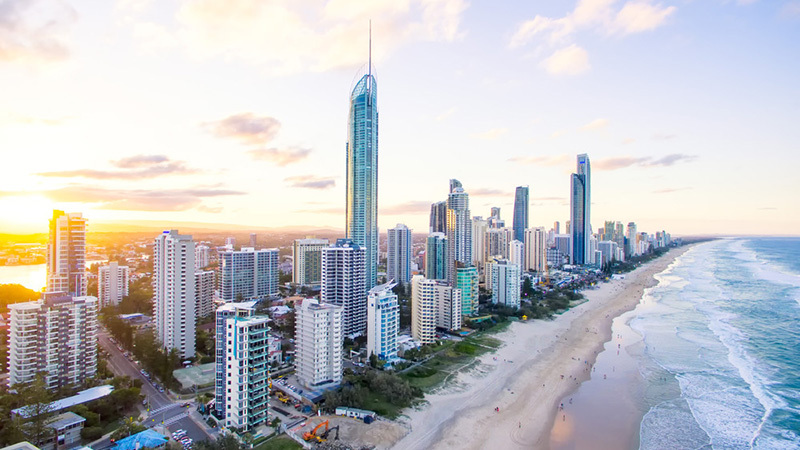 Centrally located within Surfers Paradise, Circle on Cavill combines the very best in Gold Coast beachside living with spectacular resort facilities. Comprising of two residential towers, Circle on Cavill boasts impressively spacious one, two and three bedroom Surfers Paradise accommodation. Each room type is stylishly appointed with most apartments showcasing panoramic ocean or hinterland views. 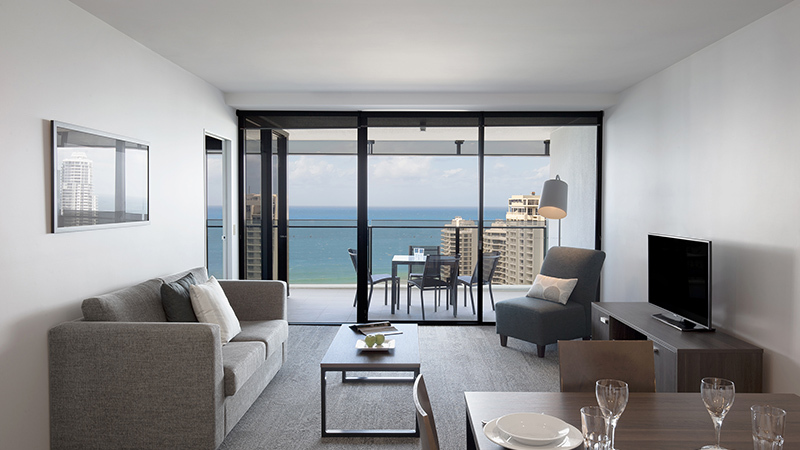 Circle on Cavill's ultra-modern Gold Coast apartments are located just two minutes from Surfers Paradise Beach. Sitting above the Circle on Cavill Shopping Centre, you’ll discover world famous brand boutique shopping and affordable luxury dining. There is an abundance of fabulous facilities to take advantage of during your stay at Surfers Paradise's Circle on Cavill. Children can play in the games arcade, or you can watch all the action in the centre of Circle on Cavill from the viewing terrace. Sitting alongside the viewing terrace is a children's playground and BBQ area perfect for entertaining. Other highlights include a 25 metre pool and spa and indoor sauna and steam room. As part of our ongoing commitment to improving our properties, we are excited to advise that Mantra Circle on Cavill is undertaking a full building repaint. Works will be ongoing until mid-year. These works include abseiling and some closures of common areas, including the south tower lap pool which is required to be closed for a 16 week period. But please note the main and indoor pools remain open at all times. Upon check in, guests are required to provide photo ID and a credit card pre-authorisation. A $200 security bond is required for 1 Bedroom Apartments. For 2 and 3 Bedroom Apartments a $500 security bond is required. Complimentary car parking (1 vehicle per room, car park height is 2.2 metres). 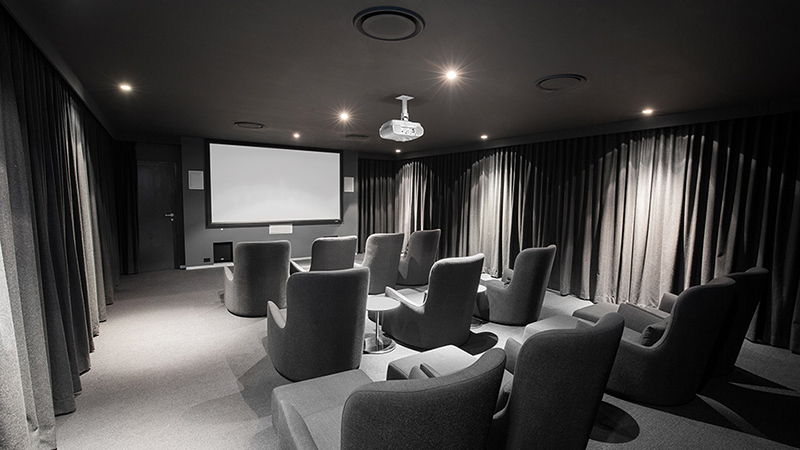 Hold a private movie night for you and your guests at Mantra Circle on Cavill in our 12-seater theatrette.